Troy-Mary Ann Dinova Spain, 73 passed away on Saturday September 8, 2018 at Samaritan Hospital surrounded by her loving family. 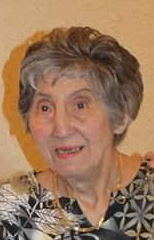 Born in Troy, she was the daughter of Samuel Dinova and Theresa Mele Dinova, and the loving wife to the late Thomas Spain, he died August 22, 2018. Mary Ann graduated from Lansingburgh High School, class of 1963, she worked for New York State Department of Motor Vehicles in Albany, retiring in 1999. She enjoyed August afternoons at Saratoga Racetrack and Saratoga Racino, but most of all she enjoyed spending time with her family especially her granddaughters and great granddaughter. Mary Ann is survived by her daughter Kathy (Steven) Marshall of Troy, her granddaughters Ashley Abbott and Monique Abbott, her great granddaughter Amari Tolliver-Fries and her brother Tom (Kathleen) Dinova of Troy. Calling hours will be held on Wednesday, September 12, 2018 from 10:00 am to 12:00 pm at McLoughlin & Mason Funeral Home corner of 109th Street and Third Avenue, Lansingburgh. Funeral service will be held at 12:00 pm at the funeral home. Burial will follow at St. Mary’s Cemetery, Troy. Donations in memory of Mary Ann may be made to the Shiners Hospital for Children at https://www.shrinershospitalsforchildren.org/shc/donate.